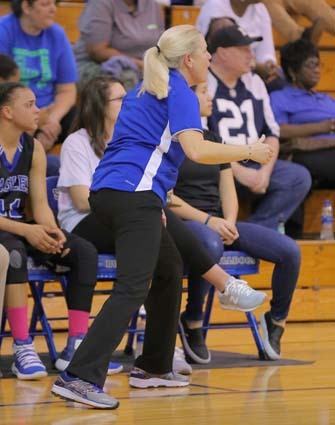 ST PAULS – Seniors Ja’Tyra Moore-Peterson and Erica McKoy sparked a 22-6 fourth quarter rally that rallied East Bladen to a 62-53 Three Rivers Conference girls basketball victory over St. Pauls Tuesday night. Moore-Peterson tossed in 3 baskets and 3 free throws in the final quarter, and McKoy pumped in 3 baskets. Junior Patience Ward threw in a pair of baskets, and freshman Maya McDonald dropped in a basket. 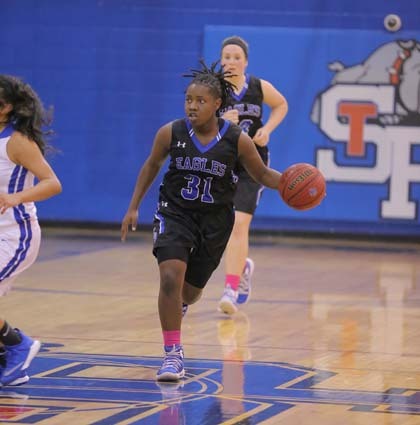 Sophmore T. J. Eichelberger racked up 25 points for St. Pauls in the first three quarters as the Lady Bulldogs built a 47-40 lead. Eichelberger only managed 2 points in the final period and led all scorers with 27 points. 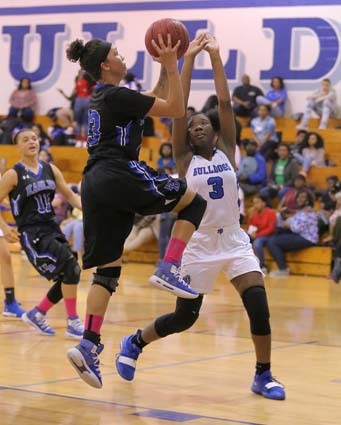 Moore-Peterson keyed the Lady Eagle offense with 19 points, 7 steals and 5 assists. McKoy finished with 15 points, 5 steals and 6 rebounds. Ward followed with 11 points and 6 rebounds. 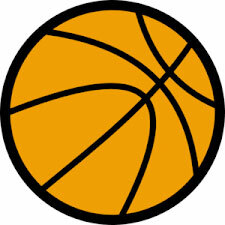 McDonald totaled 10 points, 4 rebounds, 4 steals and 4 assists. Senior Ashley Hardin added 4 points and 4 steals. Junior Lorna Mendell contributed 4 points and 8 rebounds. 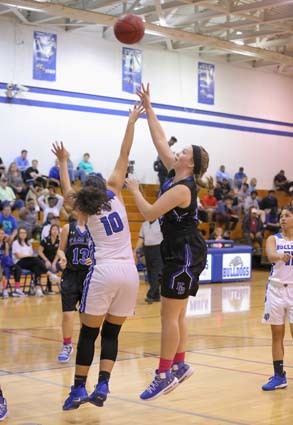 Moore-Peterson drained a 3-point shot and another basket in the opening quarter, and senior Anna Kate White, McDonald and Mendell netted baskets as East Bladen edged in front 12-11. Eichelberger with 5 points and teammate Diamond Simms-Moore with 4 points kept St. Pauls close. McKoy pumped in 2 baskets and 3 free throws in the second quarter, Ward delivered a trio of baskets, and Moore-Peterson added a bucket to keep East on top 27-26 at halftime. 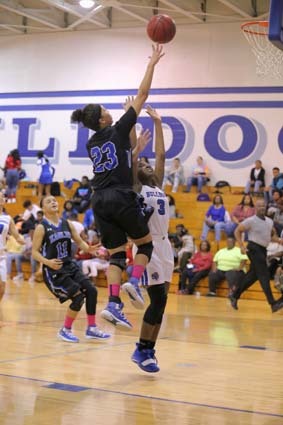 Eichelberger tallied 8 points and Simms-Moore scored 6 points for the Lady Bulldogs in the period. Eichelberger blistered the nets with 3 baskets, a 3-point goal and 3 free throws in the third quarter as St. Pauls took a 47-40 lead. McDonald rallied the Lady Eagles with a trio of baskets, Hardin drilled in a 3-point shot, and Mendell and McKoy collected baskets. Simms-Moore finished with 16 points for St. Pauls. The Lady Eagles remain unbeaten in league play with a 15-0 record and are 20-1 overall. 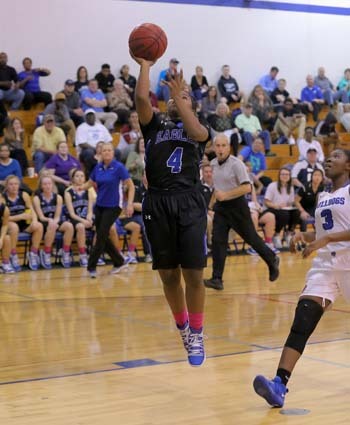 East Bladen will host East Columbus on Senior Night Friday. 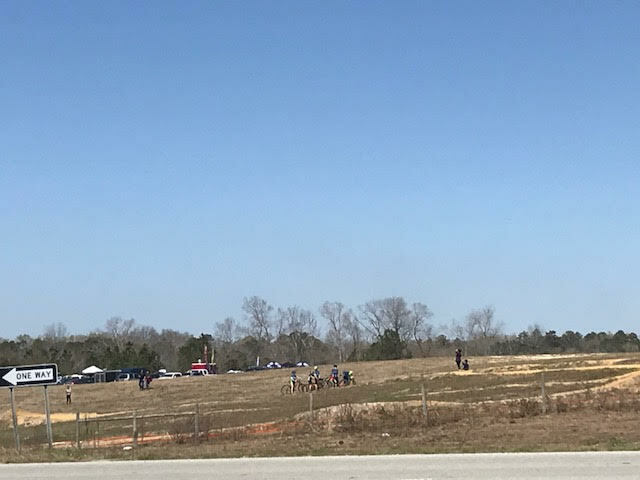 EAST BLADEN (62) – Erica McKoy 15, Maya McDonald 10, Anna Kate White 2, Patience Ward 11, Ashley Hardin 4, Ja’Tyra Moore-Peterson 16, Lorna Mendell 4.